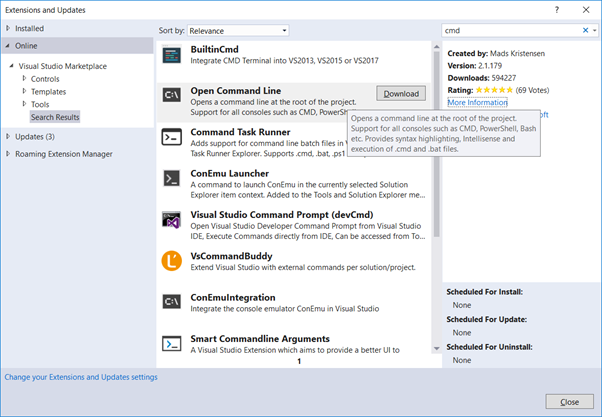 I'm going to use Visual Studio 2017 because I like the fact that I can develop C# Plugins and TypeScript in the same IDE – but you could equally use VSCode. 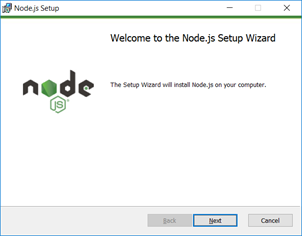 Select the 'Current' build and install. You should now see a packages.json file in your project folder. 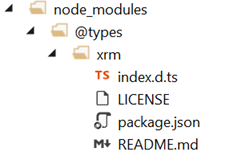 You will now have a node_modules folder in your project directory. 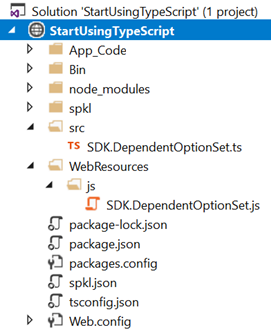 Now you've got your project ready, we can start to use TypeScript. Notice how the class is marked as 'export' so that it will be accessible to other TypeScript code, and the function pointer field init has be converted into a static method. We can repeat this for all the function pointer fields on the DependentOptionSet class and do the same for the Util class. If you look at the methods now you'll start to notice that there are some more errors that the typescript compiled needs help with. The first we'll look at is there is an error on getValue(). This is because the typing for the attribute collection isn't what is expected. The same technique needs to be then repeated for the option and optionToShow variables. // so that the dependent fields are filtered for the current values. If the value is valid, set it. 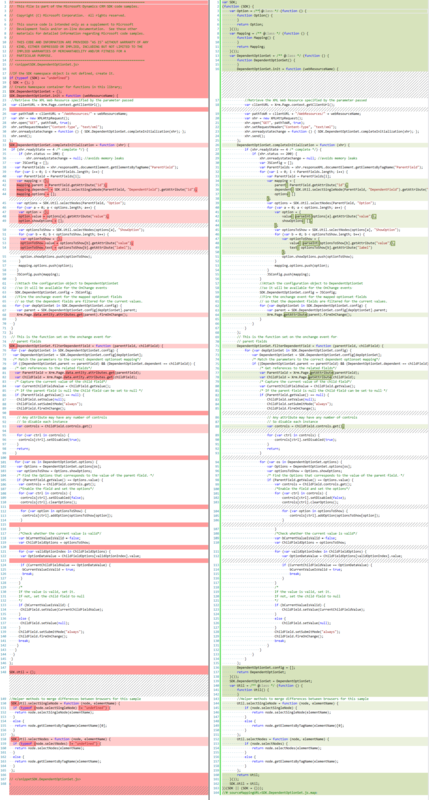 Of course, the key difference is now that we have strong type checking through type inference. 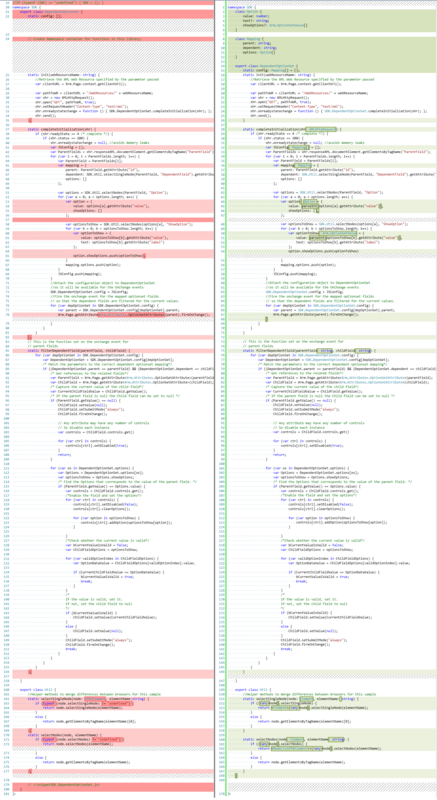 Type inference is your friend – the compiler knows best! 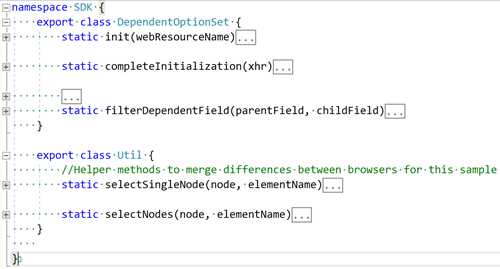 In the next part, I'll show you how to deploy and debug this TypeScript using source maps.